Ankle weights can help build strength, speed and quickness in athletes. They can also cause damage when they are worn for long periods or during strenuous exercise. 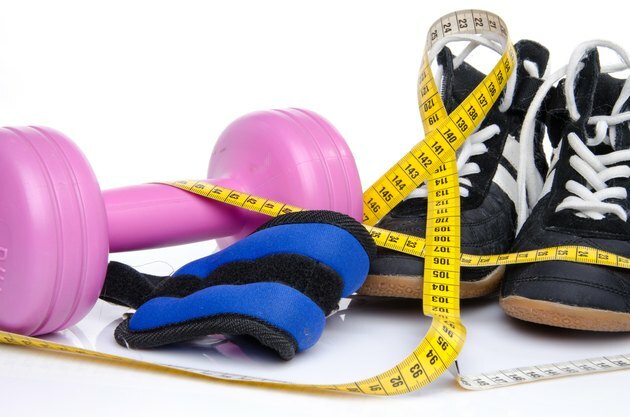 Knee ligaments and tendons along with ankle ligaments are often under duress while working out in ankle weights. Youngsters who wear ankle weights also risk damaging their growth plates. Running in ankle weights can have a negative impact on a young person's speed, ankle stability and knee health. According to Mayo Clinic physical medicine and rehab specialist Dr. Edward Laskowski, people who wear ankle weights risk straining their ankle joints and leg muscles. Younger athletes who wear ankle weights for movement exercises -- running and jumping drills -- are at even greater risks because the muscle, joints, ligaments and tendons are not fully mature at this point. The growth plates are found at the end of long bones. Growth plates are usually open in youngsters until the age of 16 or 17. At that point, the growth process slows and injuries to the growth plate are less frequent. However, if those growth plates are damaged and are not treated promptly and properly, it can lead to misshapen bones, limbs that are too short and arthritic problems, according to the Nemours Foundation's Kids Health website. When a young person wears ankle weights while running and jumping, growth plate injuries may result. Stationary exercises such as leg lifts and toe raises do not present the same risk for young people. While youngsters could suffer a pulled muscle or strained ligaments by exercising too hard or too long while wearing ankle weights, the risk is about the same as an adult wearing ankle weights for the same injuries. While most of the problems associated with ankle weights are to the ankles and knees, those who are younger or much older and don't have fully developed muscle tone can also suffer painful hip problems, according to Kent Adams, director of the exercise physiology laboratory at Cal State Monterey Bay. Adams told the "Los Angeles Times" that those who want the benefits that come with ankle weights without the risk should take on exercises such as hill climbing to build strength in the ankles, knees and hips. Can Lifting Weights When Young Stunt Your Growth? Does Having Pigeon Toes Impact Running?